Italian Editor Monica Larner picks 10 value wines for the month. Nothing beats a chilled glass of Italian white wine as spring temperatures rise. This no-fuss category—with Pinot Grigio in the lead—is among our most popular imports. The wines pair easily with a long list of foods, from fish to salad to white meat. They offer zesty acidity and playful aromas of citrus, peach and flower. Most of all, they are affordable, with plenty of choices under $15. 87 Franz Haas 2008 Kris Pinot Grigio (Delle Venezie); $12. This is a highly recommendable Pinot Grigio for those looking for a fun and personable companion to seafood and light vegetable dishes. Imported by Winebow. 87 Carpineto 2008 Dogajolo (Toscana); $12. This informal Tuscan blend of Chardonnay, Grechetto and Sauvignon Blanc offers a sunny bouquet of mature fruit, apricot, citrus and honeysuckle. The wine is pleasantly fragrant and flavorful. Imported by Opici Import Company. 86 Mezzacorona 2008 Pinot Grigio (Vigneti delle Dolomiti); $9. From the crisp, alpine climate of Northern Italy, this fresh Pinot Grigio offers easy aromas of citrus, peach, kiwi and white flowers. 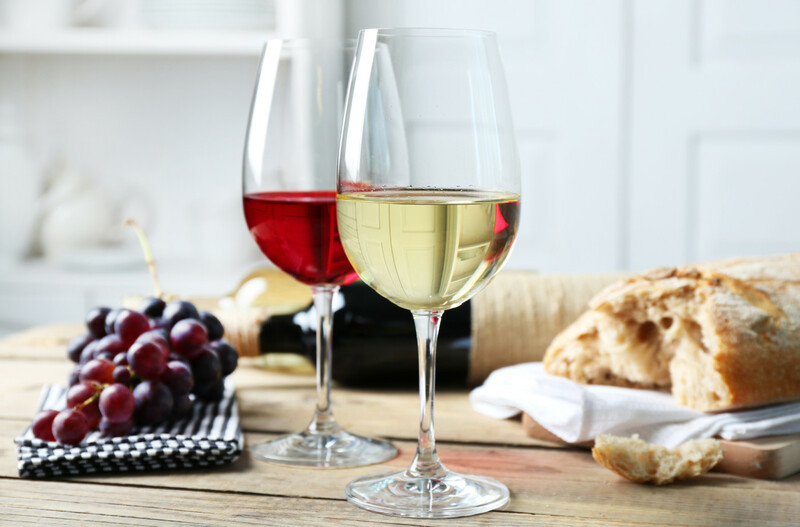 The wine delivers the zesty acidity you look for in a food-friendly Italian white. Imported by Prestige Wine Imports Corp.
86 Lagaria 2008 Pinot Grigio (Delle Venezie); $11. Here’s a clean Pinot Grigio in a screw cap bottle with pristine aromas of citrus, pear and peach blossom. The wine is tonic and lean in the mouth with fresh zest on the close. Imported by Empson (USA) Ltd.
86 MandraRossa 2008 Pinot Grigio (Sicilia); $10. Fresh floral and peach-like aromas emerge from the nose of this pristine expression of Pinot Grigio from sunny Sicily. Imported by Palm Bay International. 86 Di Lenardo 2008 Toh! Friulano (Friuli Grave); $10. Toh! boasts a luminous golden color but is measured on the nose despite its intense appearance. This wine plays most of its cards in the mouth, where it delivers thick, creamy structure. Imported by Martin Scott Wines. 86 Fontana d’Italia 2008 Pinot Grigio (Delle Venezie); $11. Easy, fresh and buoyant, this luminous Pinot Grigio offers pretty aromas of citrus, pear and white mineral. The wine tastes fresh and easygoing and offers a clean, zesty feel on the close. Imported by Winery Exchange. 86 Tasca d’Almerita 2008 Regaleali (Sicilia); $10. Here’s the quintessential Mediterranean fish wine that offers easy aromas of citrus, almond flower and peach. Think grilled tuna, halibut and pan-roasted sea bass. The wine is light, fresh and offers a touch of piquant acidity on the close. Imported by Winebow. 85 Cusumano 2008 Alcamo (Sicilia); $10. A distinctive mineral vein runs through this crisp white wine from the Cusumano brothers of Sicily. Made in Alcamo, in the southwest part of the Mediterranean island, the wine is fresh, easygoing and offers a touch of piquant spice on the close. Imported by Vin Divino. 85 Tommasi 2008 Giulietta (Delle Venezie); $10. Here’s a luminous blend of Pinot Grigio, Chardonnay and Garganega with mature aromas of pine nut, mature fruit, apricot and yellow rose. The wine is very creamy and smooth in the mouth and has the natural consistency to stand up to fish or pasta. The finish is crisp and slightly sweet. Imported by Rolar.